Sharon advises on a broad spectrum of corporate and commercial matters, with industry expertise in the technology, communications and multimedia sector. Sharon also advises on regulatory compliance and operational arrangements in the sector including on outsourcing, and on corporate transactions in the industry such as acquisitions and joint ventures. To complement her communications practice, Sharon also advises on electronic commerce transactions, payment systems and general corporate and commercial law, including personal data protection under the Personal Data Protection Act 2010. Sharon advised the Government on the drafting of the Competition Act 2010 and the Competition Commission Act 2010. Sharon advises extensively on compliance with the Competition Act in Malaysia, and her recent post-graduate studies on EU competition law has given her a good understanding of the application of EU law in Europe. She advises both international and domestic clients on transactional as well as operational commercial compliance. Sharon is also experienced in advising multinational corporations and local companies on regulatory compliance and commercial operational arrangements in various sectors, including fast-moving consumer goods, banking and financial services and oil & gas and outsourcing. 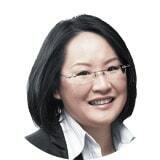 Sharon was admitted to practice in Malaysia in 1997, when she commenced practice with the firm. She is now a partner in the Corporate Commercial Practice and leads two practices: the Technology, Communications and Multimedia Practice and the Competition Practice.